K&S Impressions is dedicated to supporting our communities and giving encouragement to everyone committed to fighting life-threatening diseases. Each of us knows someone whose life has been greatly affected by a serious illness. That is why K&S developed the Causes We Care About program, which helps raise awareness and show support to non-profit organizations. K&S has partnered with dedicated organizations that can financially benefit from the sale of our Awareness Ribbon & Support Designs. If you would like to support one of the organizations listed below, enter the Voucher Code provided during the checkout process. K&S will donate 15% of the proceeds from your sale to the organization. If you have a relationship with an organization that can benefit from our program, contact us at kandsimpressions@gmail.com. Thankfully, millions of people are surviving breast cancer. Yet many are searching for personalized care to recover from the effects of treatment to decrease their risk of recurrence. 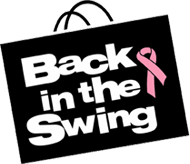 Since 2000, Back in the Swing® is the grassroots national nonprofit organization dedicated to funding survivorship education; awareness; academic medical research; and clinical care for breast cancer survivors. Use voucher code BITS15 when you check out, and we’ll donate 15% of your total purchase to Back in the Swing. Camp Encourage provides an accepting, loving atmosphere specifically designed to meet the growing need of children with autism spectrum disorders in the greater Kansas City area. Their Mission is to encourage social growth, independence, and self-esteem through a quality, overnight camp experience involving relationship development, recreation and relaxation. Use voucher code CAMP15 when you check out, and we’ll donate 15% of your total purchase to Camp Encourage. L’Arche Heartland is a faith based community where adults with and without developmental disabilities share life together. Heartland is a nonprofit organization located in Overland Park, Kansas, and a member of the International Federation of L’Arche. Use voucher code LARCHE15 when you check out, and we’ll donate 15% of your total purchase to L’Arche Heartland. 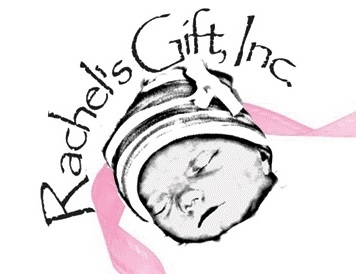 At Rachel’s Gift Inc. we partner with local hospitals to assist parents through the initial phase of infant loss through a base of caring and knowledgeable volunteers. We provide grief assistance for the families as well as a training program for nursing professionals and care givers on companioning patients through infant loss. Our ultimate goal is to provide a healthy environment to begin the grieving process to eliminate long term psychological damage to individuals and their families experiencing infant loss while at the same time providing lifetime keepsakes of their child. These keepsakes will be a lifetime reminder and a physical connection to the child that was only in their arms a matter of minutes or hours. 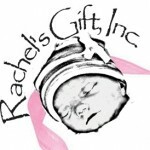 Use voucher code RACHELS15 when you check out, and we’ll donate 15% of your total purchase to Rachel’s Gift, Inc.